Locations: Chattanooga, Knoxville, TN and Monticello, IL. 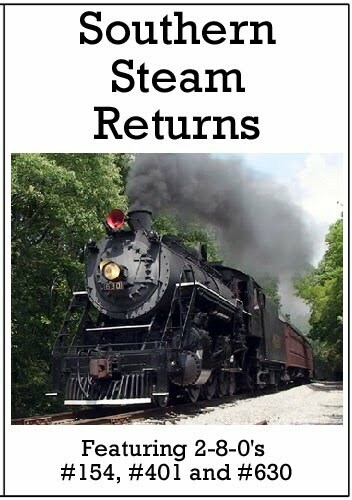 Three former Southern Railway 2-8-0 Consolidation class locomotives have recently returned to service. 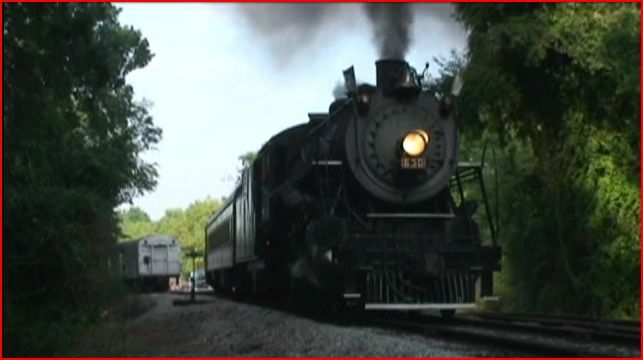 All of the rebuilt Southern engines were filmed by Diverging Clear in the spring and summer of 2011. Two of them reside in Tennessee. The third one in Illinois. Each is presented with a feature on this program. There also is 20 minutes of bonus footage and previews. 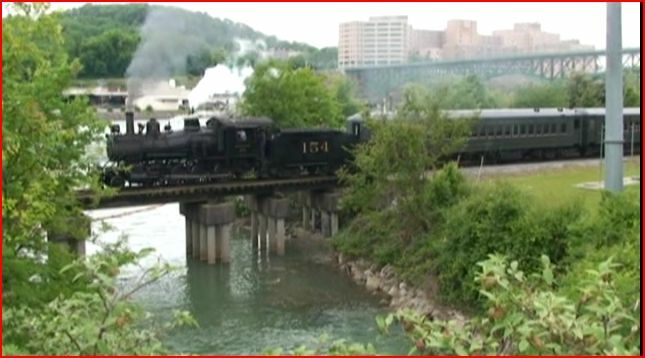 Southern 154 is at Three Rivers Rambler in Knoxville, TN. Schenectady built in 1890. The 154 pulls a mixed train at Knoxville. A steam whistle that is sweet! This plays like a town & country style train. See the next screenshot. Southern 154 has us off to a nice start in this program. 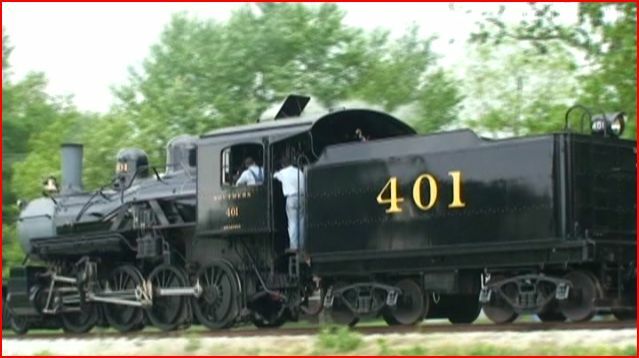 Southern 401 is at the Monticello Railway Museum. This was built in 1907 by Baldwin. Each Consolidation has this style of chapter/ title card. The 401 is serviced and warmed-up on a rainy and chilly April morning. Arrives at the former Wabash Railroad station. There are some running gear shots with a specially mounted camera. See this show for more. Number 401 is also the star of it’s own release, by Diverging Clear Productions. The #630 is the most widely known of the trio. Mary has a detailed history in a brief narrative. 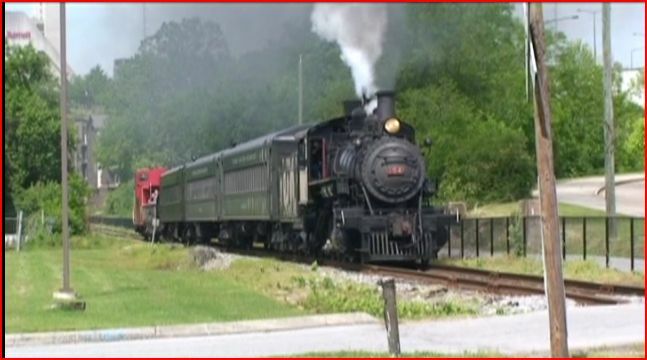 The Tennessee Valley Railroad Museum at Chattanooga. A scenic location with a longer chapter. There is a wealth of scenic photographic opportunities. Our cinematographer has plenty of classic looking scenes. 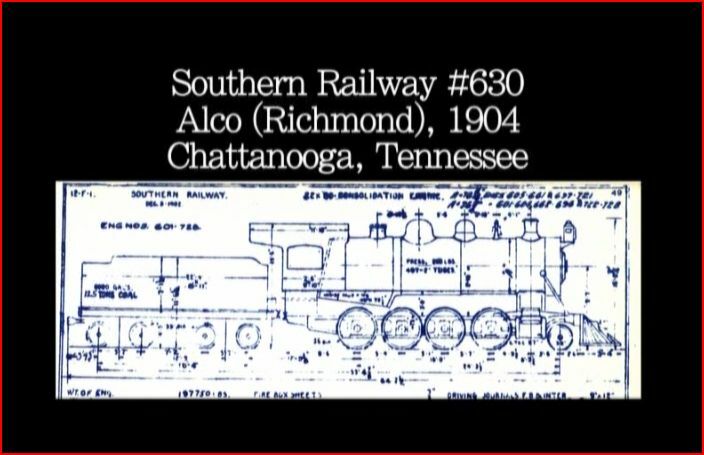 The 630 was used as a part of Southern Railway’s steam program. It seems to have the loudest whistle. 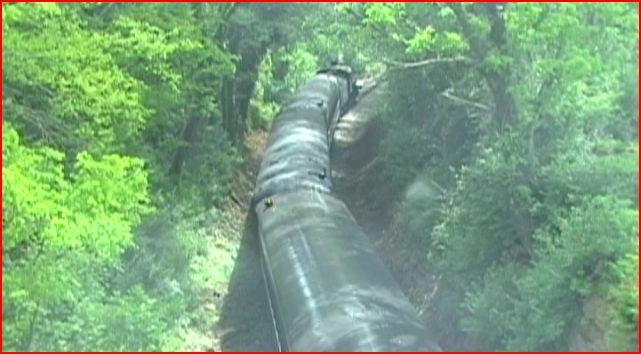 Skillful camera work presents all three locomotives in an interesting and satisfying way. There is a chapter menu that also contains selections: for bonus footage and previews. Natural audio dominates the soundtrack. 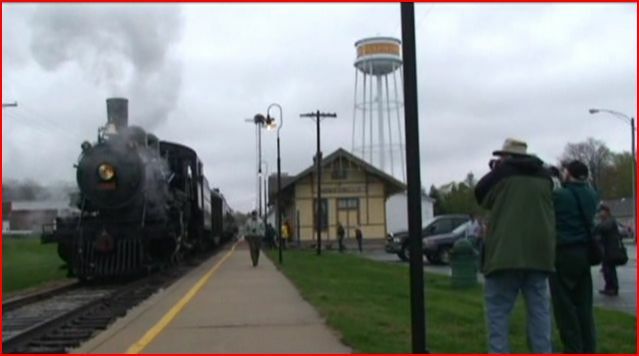 The sounds of these steam engines are great! Narration is informative and with a minimalist approach. 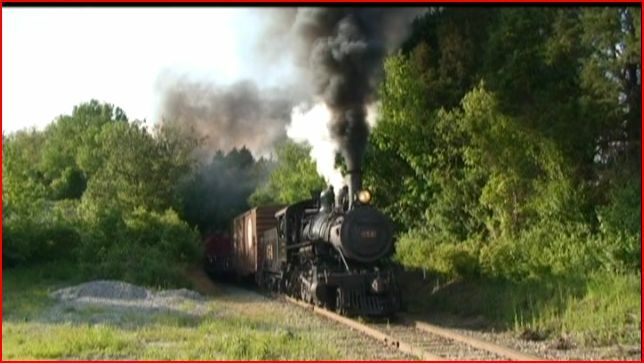 Southern Steam Returns is a finely produced three for one program. DCP has hit a home run. 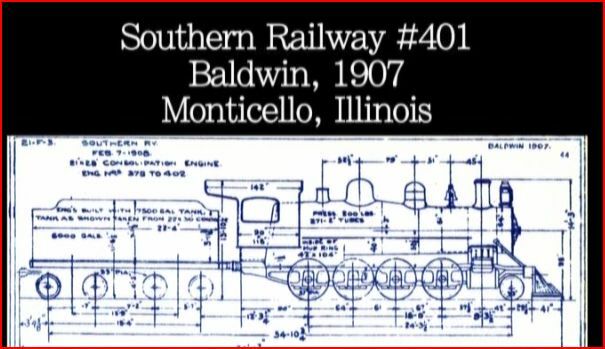 Any railfan and their families will find this an enjoyable presentation. 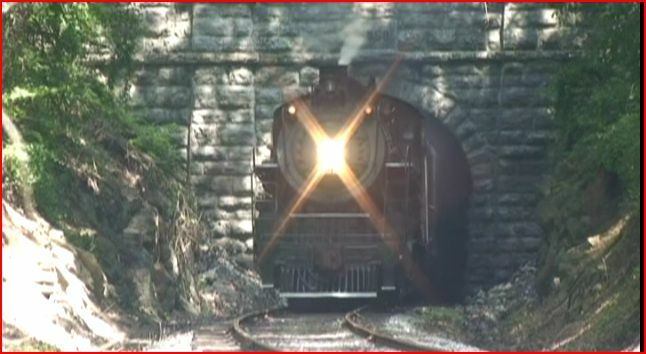 This entry was posted in ATVR Reviews, Diverging Clear Productions, Steam Train Reviews and tagged American Train Video Reviews, new releases, steam train, Train DVD by William J. Hudson. Bookmark the permalink.